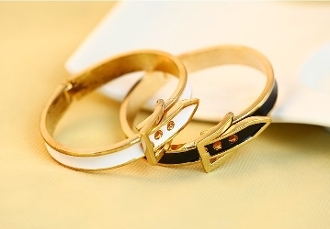 Look fabulous with this designer inspired buckle enamel bracelet. Great additional to any wardrobe. Love this light weight bracelet, buy one for you and for a friend. Comes in colors: Black; Blue. One size.